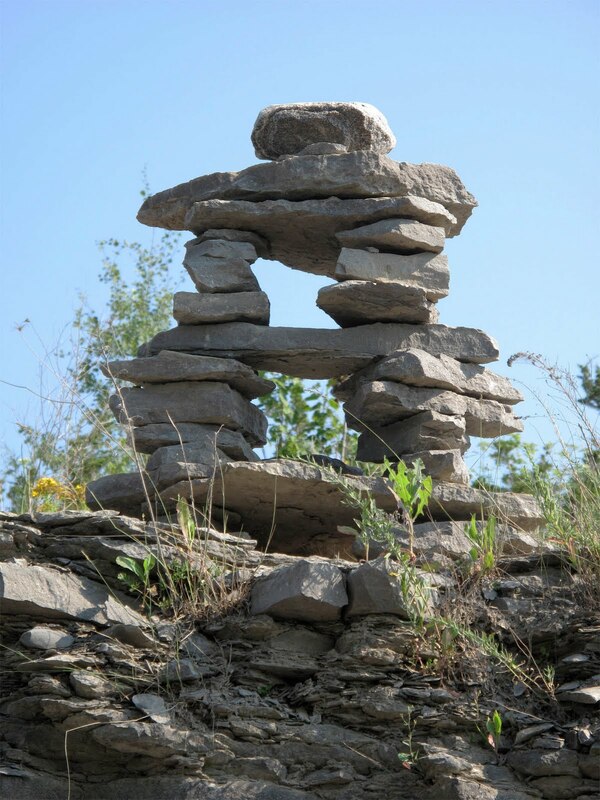 Of the many interpretations I have read about the significance of the Inukshuk, this is the one that resonates most for me. We discovered this beauty going east on the 401 just beyond the last exit to Belleville. Just the practice of repeating the words 'you are on the right path' tends to have a soothing effect on the central nervous system. To me, this is proof positive of the power of both imagery and thought...words spoken, or just mindfully repeated. namaste.